Why does someone ends up living on the street? Someone ends up living on the street because their situation has got progressively worse. There is not just one cause. Some depend on the individual: a divorce, the death of a loved one, a lack of information, health… Others have to do with our social model and the problems that this implies: unemployment, house prices, migratory movements, the strictness of social services and of the help mechanisms available. Are homeless people alcoholic people? Alcoholism or drugs use are not the only causes that lead someone to live on the street. In fact, many times alcoholism is the consequence. And, in many other cases, the person doesn’t consume anything at all. We know people who started drinking because of a need to escape from reality, people who drink to escape the cold, and women who drink to overcome the fear of being assaulted. “When you live on the street it is easy to become addicted to drugs or alcohol, but to leave it is an enormous effort. You need help.” It is of the utmost importance to understand that we are talking about illnesses and not to blame the individual in question. Why are there people who do not want to go into a shelter? The reality is that, often, these spaces do not take into consideration what this person wants and needs. Sleeping in a temporary resource means having to share your space with many people, and having a lack of privacy and peace. It also implies having to leave your luggage and your pets. “When you enter in a shelter you know that it is not a permanent solution and that you can come back to the street”. The solution is often offering flats with affordable prices in which some could live with stability. They are smaller spaces, closer to the usual environment of each one. Homeless people do not want to work? Is it true that immigrant people take advantage of their situation? 26% of homeless people in Barcelona have Spanish citizenship, 40% are EU citizens and 27% are non-EU citizens (7% n/a), according to census data collected in June 2018 about homeless people. The lack of a contact network, the administrative difficulties regarding documentation, language barriers and discrimination they face because they are foreign people means that many immigrants find themselves in a very precarious situation compared to the rest of the population. Are homeless people violent and antisocial people? In a home there are basic needs that we have covered and of which we are not normally conscious about. Living on the street means you are more exposed to public conflict situations and to receive sanctions because you do not have a bathroom to go to, a shower, a kitchen, or a sofa. All your life must occur on the street. Moreover, you are exposed to physical and verbal violence. Census data of homeless people collected in June 2018 alerts that 30.4% of people have suffered assaults. “One tries to be quiet when sleeping on the street, but sometimes there are situations that bring you to violence”. They are unsociable because of mistrust. In many cases they have been theft victims, they have been assaulted, they have suffered humiliations; that is often the reason behind this behaviour. No one forces them to do anything and until we gain their trust, the recovering process does not start. Do they live on the street because they want to? Are there enough resources to ensure nobody sleeps on the street? Which resources are we thinking of when we ask this? Places to eat? Showers? Shelters? Secure accomodation to sleep? If you live on a Barcelona street, for example, you cannot have a comfortable dinner in a public canteen because you have to spend most of your time travelling from one place to another. The resources are not based on the daily needs of people. They relieve immediate and temporary needs but they do not offer medium or long-term solutions. Do we know what homeless people need? Someone who lives or have lived on the street has the capacity to decide what to do with their life and how to confront the challenges and the difficulties that suddenly appear. Their opinion and their right to decide about their own life is not worth less than the point of view of another citizen or social service professional. We need to listen more. If I no longer see a person sleeping on the street, has the problem been solved? Stopping living on the street is a slow process, not only because it is important to build stable bonds and trust but also because these are what will allow the person to move forward. The situation is not suddenly resolved when someone finally finds housing. There are other important challenges, like improving your health status, having enough income, having a stable home, spending your time in a useful way… “You have a roof above your head but you need to keep it there. And you need to do a great effort to change those thoughts. For example, you have to get used to sleeping in a bed”. Is it easy to live on the streets in Barcelona? We are not going to evaluate whether living on the streets in Barcelona is better than in other cities because of the higher temperatures in winter. For that, we will only highlight a quote said by one of the homeless people we know: “It doesn’t matter if Barcelona has good or bad weather. When you live on the street you are exposed and that is dangerous”. Is homelessness a city problem? We do not know exactly how many people are living on the street in Catalonia or how they are distributed throughout the territory. According to a recount in 2018, Barcelona is the city that has the most homeless people: 956 are sleeping on the street, 2,099 in shelters and in public and private resources, and 536 in irregular settlements. But the problem also exists in other cities that need to acquire resources and deal with homeless people so they do not have to move to another bigger city to get help. Is it possible to eradicate homelessness? Finland is the first European country that has almost achieved the challenge of #nobodysleepingonthestreet. They implemented a national strategy for homelessness with solutions focused on stable housing. At Arrels we are firmly convinced that here we can also achieve that challenge, with public policies, networking and more efficient resources. Are there any kids living on the street? 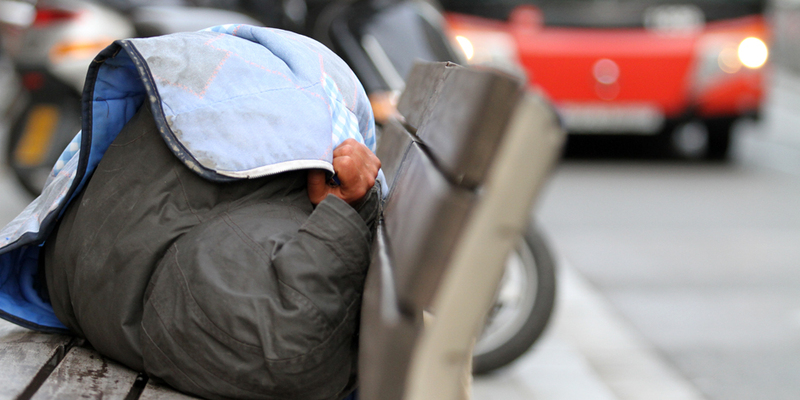 In 2016, the SDI-MENAS (a detection and intervention service with unaccompanied minors) of Barcelona City Council detected 146 children and teenagers living on the street. The number in 2017 was 291: an increase of 99.32%. This is due to the arrival of unaccompanied migrant minors who had just arrived to the city. Do homeless people have family? The vast majority has family. But something went wrong and the family ties broke up. Do homeless people have education? There is a bit of everything. There are people who have only basic education, but there are also people who have a higher degree or that managed their own business and then lost it all. How long does it take to stop living on the street? Leaving the street is a personal choice. The first step is to re-establish the trust you can have with people and that is a long process that can take months, or even years. Once this trust has been re-established – when the person decides to stop living on the street – a long and difficult process of personal reconstruction then begins. Do we have to give money to homeless people? Arrels looks after people who suffer from chronic homelessness. That is, those people who have been living on the street for years and that have stopped asking for something a long time ago. Giving money is a personal choice: it can help in a specific moment but it doesn’t solve the problem.